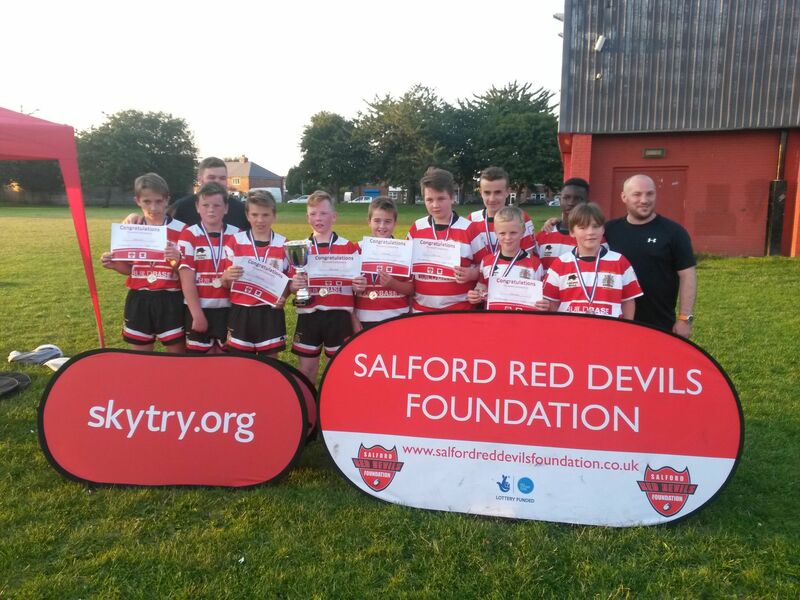 This Wednesday, 12th August, saw the Salford Red Devils host the ‘Chris Hesketh Cup’. 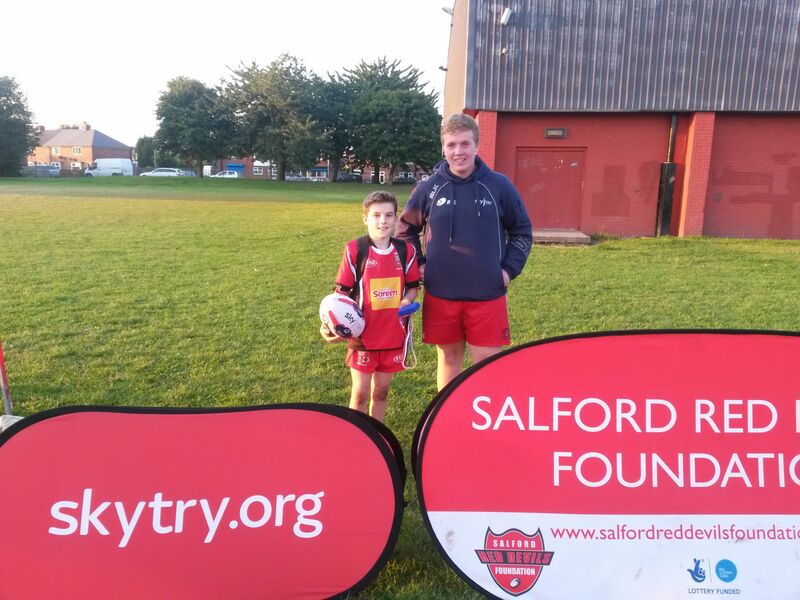 The Chris Hesketh Cup is an Under 12’s Rugby League festival, specially arranged for clubs within the local area. 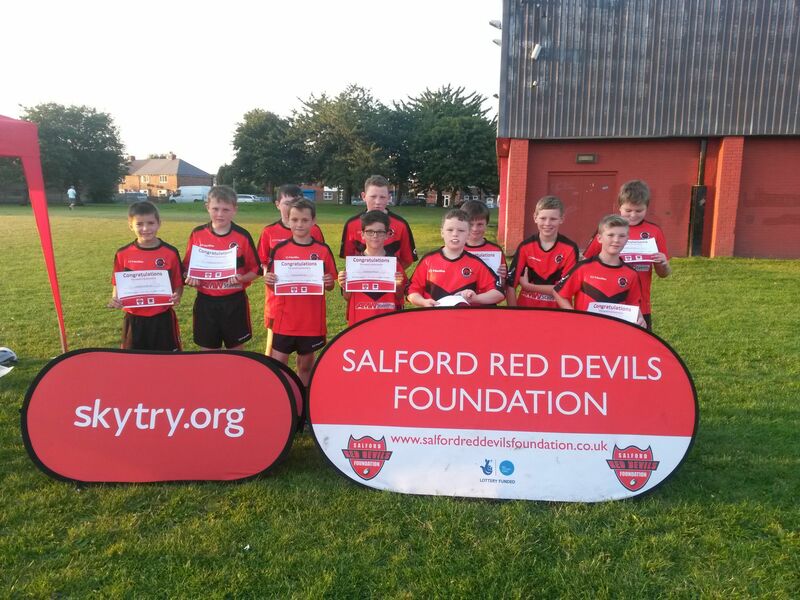 The tournament comes as part of our ‘Sky Try’ initiative, which sees The Salford Red Devils Foundation increase involvement in physical activity in and around the community. The winners of the tournament were Folly Lane, a team recently founded by Jay Boyd, a member of The Foundation’s staff. We would like to congratulate both Folly Lane as a team, and the Player of the Tournament, Billy Wadeson. 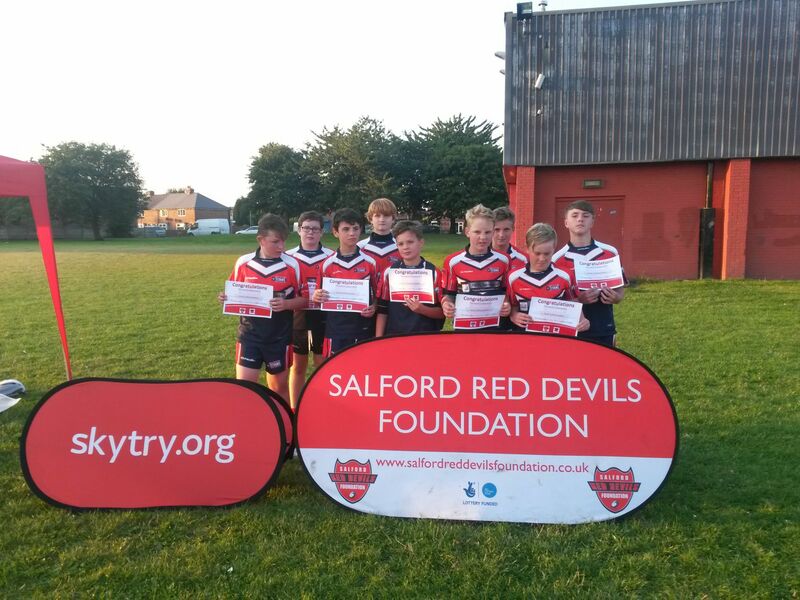 The Foundation team would like to say a special thank you to Cadishead Rhinos for hosting the tournament. 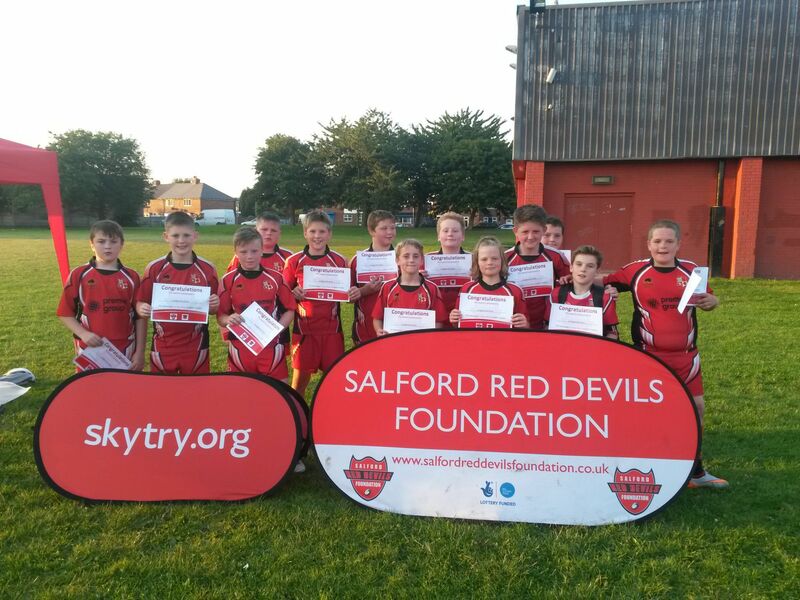 For anymore information, or if you/your school would like to be involved, please contact jay.boyd@thereddevils.net or telephone 0161 786 1591.